According to the Shandong Key Century-Old Enterprise Cultivating Project Proposal (hereinafter referred to as the Proposal) jointly released by Shandong Economic and Information Technology Committee and Shandong Finance Bureau, SCI, together with Tsingtao Brewery, etc. was rated as a key cultivating enterprise, due to the outstanding performance in brand value, cultivation ability, scale, etc. It was known that 182 enterprises were listed. 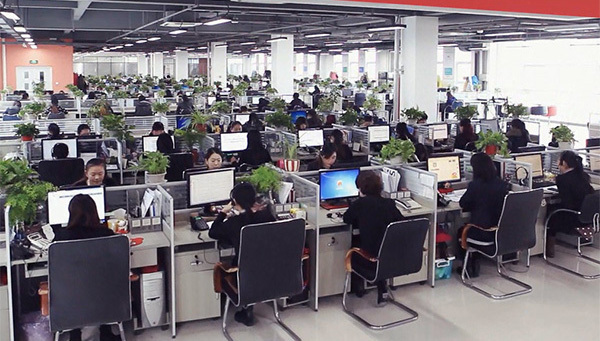 The total main business income of these enterprises surpassed 2.5 trillion RMB in 2016, occupying 1/6 of the total income of the industrial enterprises above the designated size. In 2016, the average profit-tax rate exceeded 9.1%, and the average R&D input intensity was 4.14%. The Proposal was to build century-old brands by focusing on the improvement of basic brand competency, image, promotion, internationalization, innovation ability, talent cultivation and provide a package of policy support. The Shandong Key Century-Old Enterprise Cultivating Project aims to foster 5 enterprises listed as Global Brand Value Top 500 and 50 ones listed as China Brand Value Top 500. With the change and development of the market, SCI devotes to innovation and brand building: As a neutral third party, SCI insists that the profession, responsibility, elaborate work and restrict standard can be shown in every piece of information, consulting project and event, which are also the foundation of SCI. SCI’s sustainable R&D investment mechanism, complete personnel training system and responsibility to give back to the society and enhance the industrial development contribute to the extension of brand connotation. SCI focuses on the study of spot commodity market, adopts the highest standard worldwide as the benchmark and establishes, develops and implements methodology and compliance requirements. SCI takes paid-information and data services as the core and customer demand as the goal and orientation of product and service R&D. SCI improves customer satisfaction constantly and wins recognition and trust from governments, institutions, media and enterprises. Out of nothing, SCI has traveled a unique road of service brand growth.